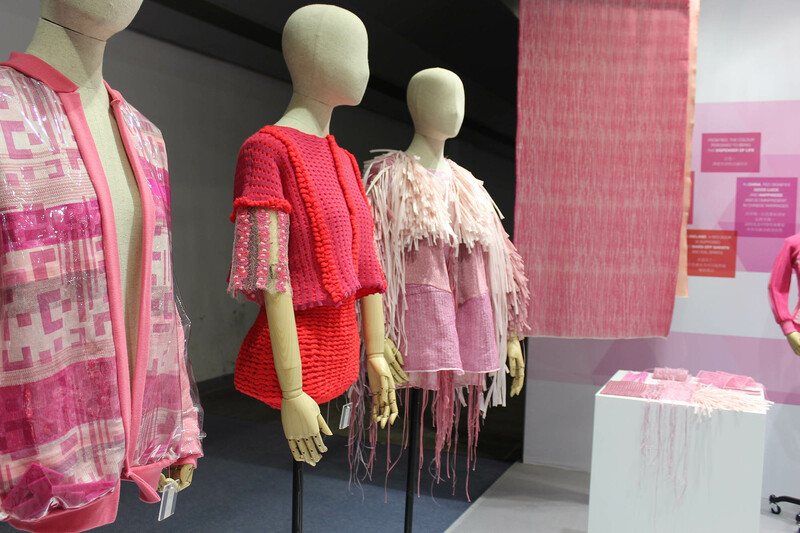 Current second year WSA students on the Knitwear and Woven Textiles pathways had the opportunity to exhibit work at Spinexpo in Shanghai at the beginning of the this month. 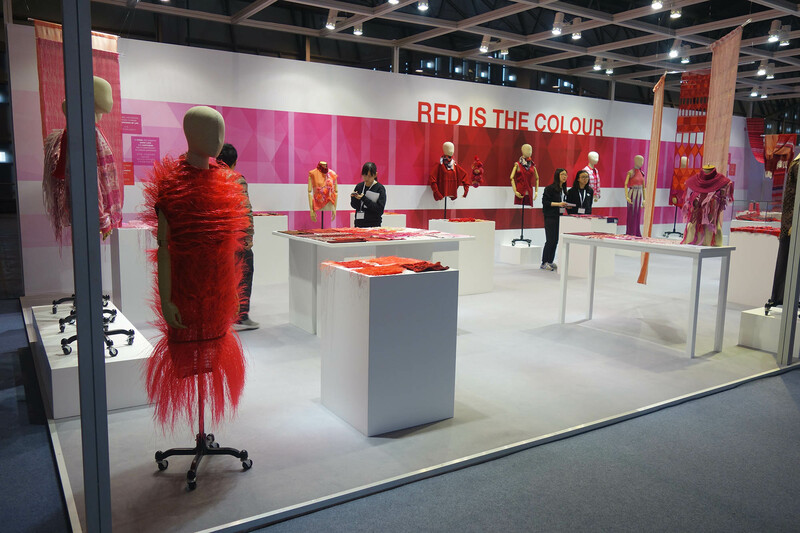 Two students were selected to go to Shanghai for the duration of the show, Hannah Brabon (Knitwear) and Emma Pedrick (Woven Textiles), who had the opportunity to meet industry experts, gain an insight into the industry as well as the workings of an international trade show. 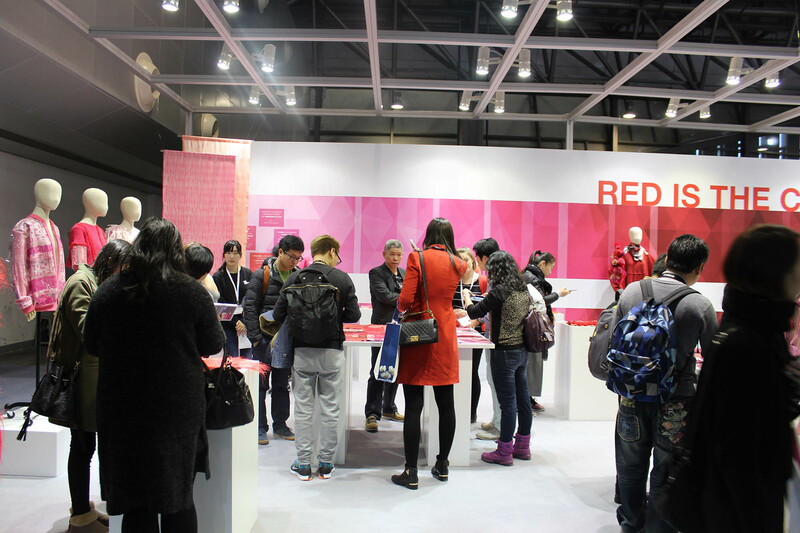 Spinexpo and WSA worked together on a project brief where students had to develop concepts around the colour RED. 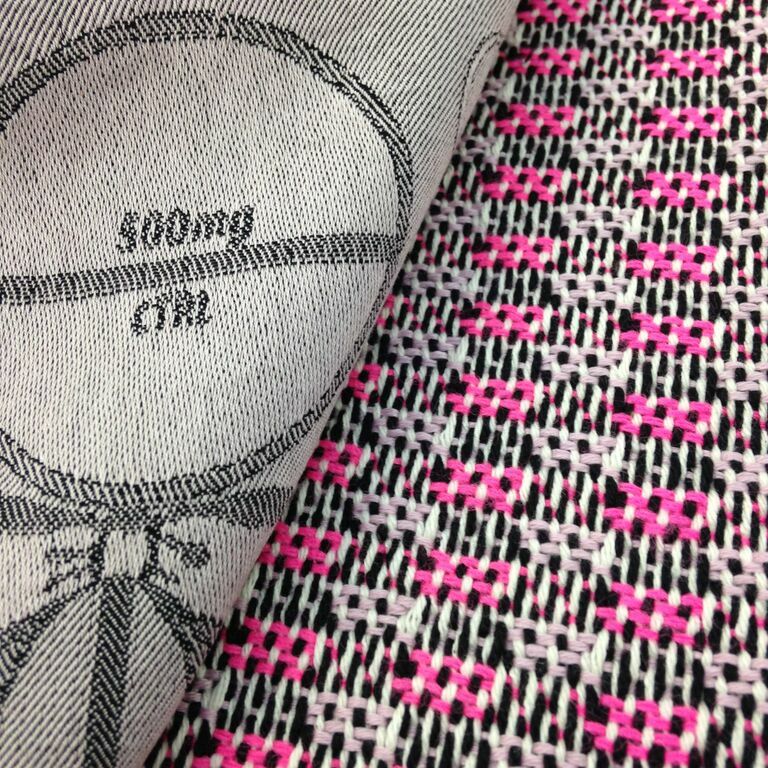 Second year Knitwear for Fashion and Woven Textile Design students have been working on an industry project for Knitwear Design Studio Sophie Steller. 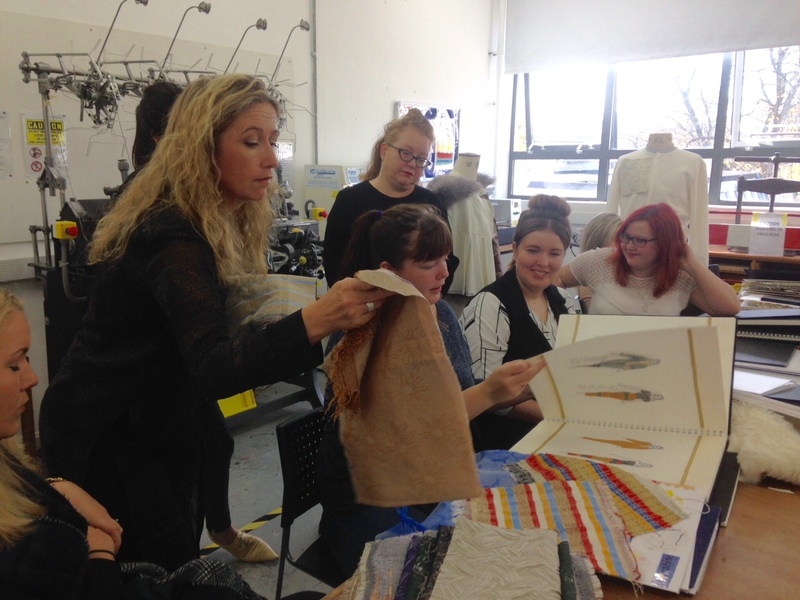 The students developed designs for a past/modern collection, using drawings from museum collections as a starting point for their textile swatches. After the project review with Sophie Steller, 8 students were selected for interviews. Sophie will be offering placements to successful interviewees. 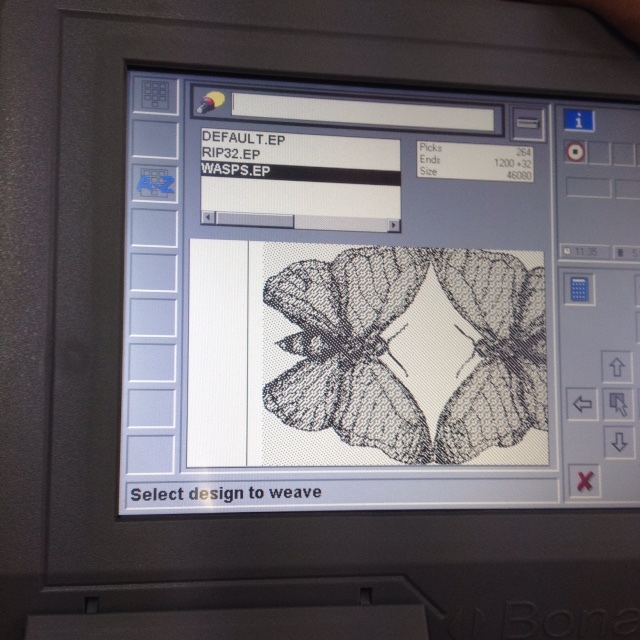 The weave department are really excited to announce the arrival of the new digital Controller for the Jacquard loom. The digital information will now by transmitted directly from the computer to the loom. Goodbye floppy disks! Final year Woven Textiles student, Leah Ashton, spent her summer at two exciting internships one with Anna Champeney in Northern Spain and the other with Christopher Farr Cloth in London. She tells us about her very different experiences at both learning about their design process and how each company is run. “In June this summer I spent three weeks at Anna Champeney Textile Studio, learning about local weaving techniques and natural dyeing. AC Textiles is an independent studio based in the remote village of Cristosende, Northern Spain. I applied for the internship because I wanted to gain even more weaving experience; this internship allowed me to weave myself, which very few others gave me the opportunity to do. 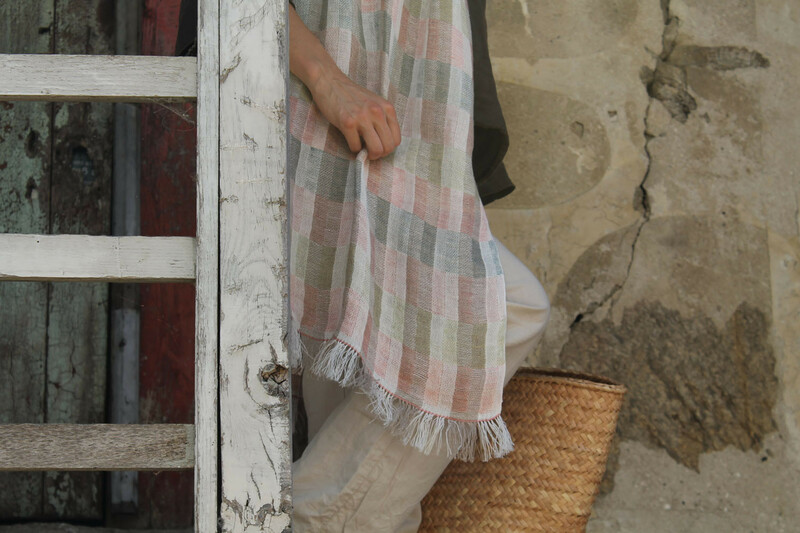 During my internship I wove a linen scarf which was sold online as part of AC Textiles summer collection as well as some linen towels for a customer commission. I also learnt some techniques for dyeing using plants and other natural sources, many of which were grown locally on site; I found this a very interesting experience. “My next internship was at Christopher Farr Cloth in Chelsea, London. I was there from the beginning of July to the end of August. 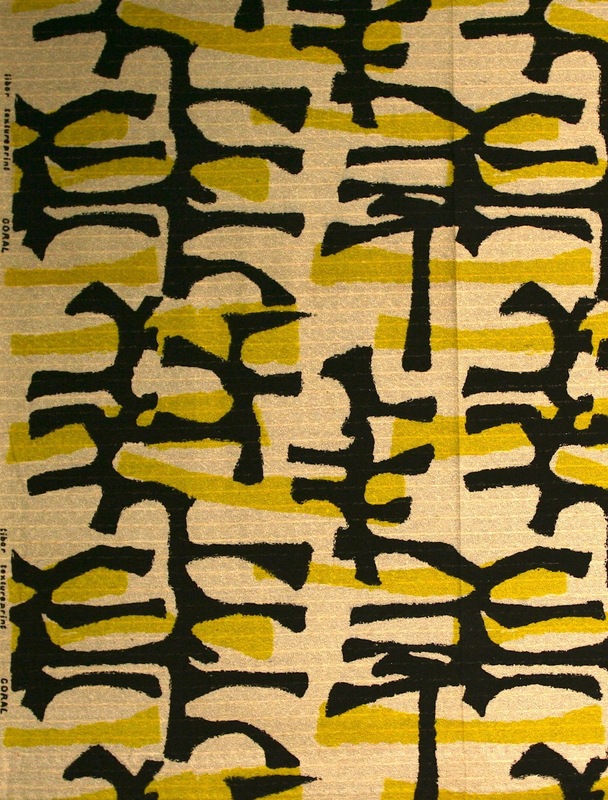 Christopher Farr cloth is the fabric division of Christopher Farr (Rugs). 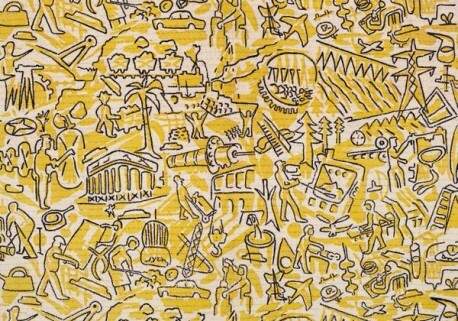 Their collection has over 60 designs of prints and weaves, designed by a range of designers and artists. The printed collection is still produced in the UK, and I was lucky enough to visit the family-owned company and see how the designs were printed; both by hand and using a rotary. Humphries Weaving is a leading British manufacturer of custom Jacquard fabrics, gaining an international reputation in weaving fine furnishings. With a varied portfolio of works we undertake client led projects for prestigious historical restorations, alongside the high end decorator market. 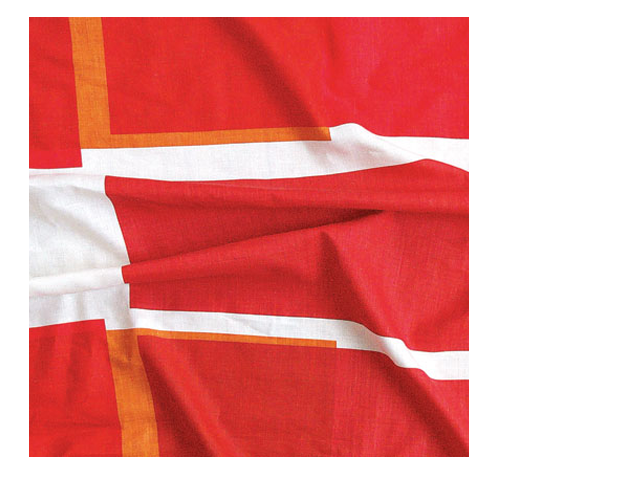 We are looking to recruit a Textile Design and Sales Assistant to join our team. 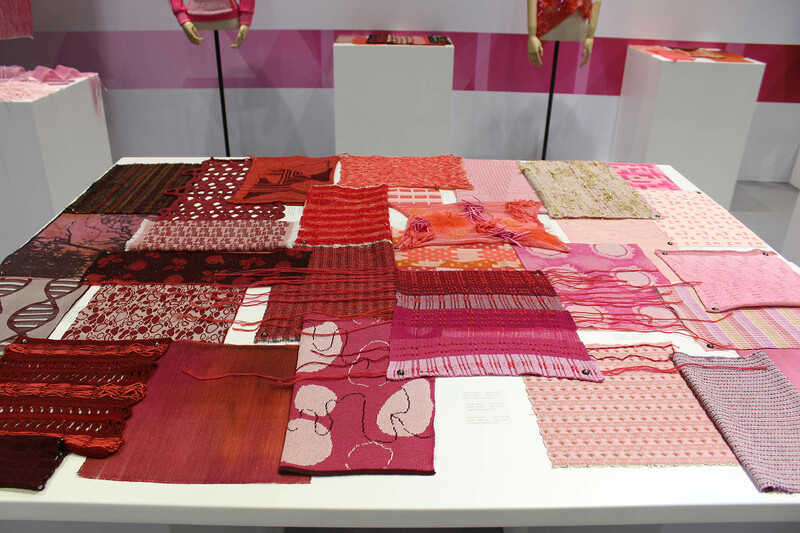 The successful candidate will have a degree in woven textile design or have relevant experience in the field. With a professional attitude, the candidate must be able to confidently communicate with colleagues and clients alike. Applicants must have a valid full driving license for client visits. A proficiency in the use of Microsoft Office Suite is desired to carry out office based administration duties. 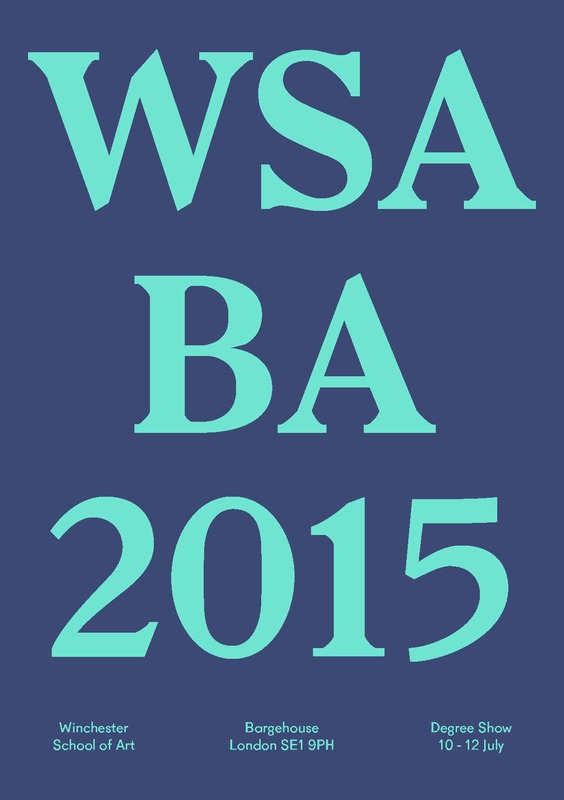 Knowledge of WordPress and social media or a willingness to learn would be an advantage. To apply for this role please send your CV and covering letter to fabrics@humphriesweaving.co.uk FAO J. Newman. Images if desired, no larger than 2MB. Applications to be received by Wednesday 14th October 2015. 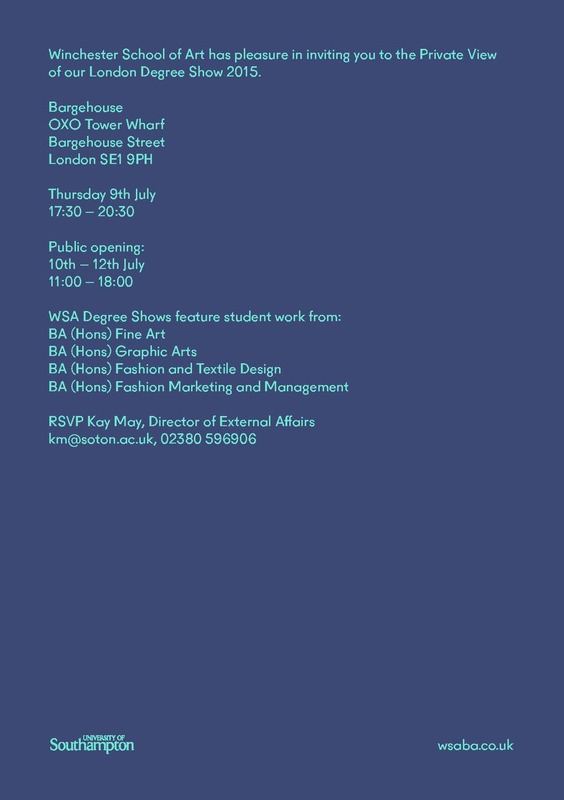 Carys Whitehouse, who graduated this summer with a First Class Honours in Woven Textiles has started her Masters at the Royal College of Art this week. Carys’ final collection, a combination of hand woven textiles, jacquards, digital prints and sculpture, reflected on how we express anxiety both consciously and unconsciously. This took the form of drawing and sculptures exploring her own anxieties as well as examining “medicine as a form of escapism from societal anxieties.” Her collection was developed using materials and processes which were entirely free from animal products for a gender-neutral fashion market. We wish Carys all the best with her next 2 years of post-graduate studies.